Protection Paladins have always been excellent tanks and nothing in Warlords has changed that. A bunch of abilities were moved and removed with Warlords, and there were some real changes to tanking mechanics. Those mechanics didn’t actually change the game much, and you can see them in our Warlords Paladin Changes post. For Warlords of Draenor the Proving Grounds are a requirement (you need silver rating) in order to be able to join random LFR or heroic dungeon groups. 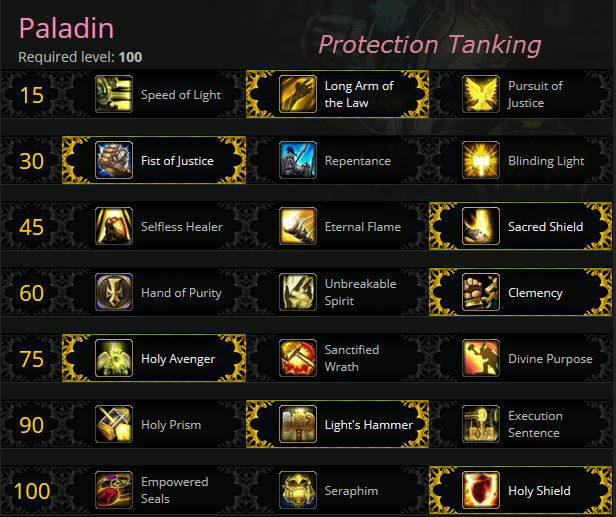 This Protection Paladin tanking guide is primarily intended for use at level 100. However, the principals will still apply during the leveling process. If you’re looking for advice on leveling your Paladin, check out our Paladin Leveling Guide. Talents and glyphs share one major feature, and that is that you can change them at will. Pick the new talent of glyph, spend one Tome, click “learn” and you’re done. Going from one fight to a different one? Change up to suit, it’s easy. All of the talents are good, even very good in particular situations. Feel free to experiment and get an idea of what works when. Then change up to suit. There’s no obvious pick here, it depends on what you prefer. larger burst movement or smaller, but constant? Sprint: Speed of Light grants you a burst movement cooldown, a good choice if you need a sprint right now. Such as when that area effect “destroy everything” spell is dropped by the boss, or it dashes over there. Short sprints: Long Arm of the Law offers a different movement mechanic, and if you drop a lot of Judgments (you should) you might like it. Esp. if you take the Sanctified Wrath talent, below. It offers you a nice speed boost any time you need it. As with Pursuit, below, it doesn’t take up a key slot. Passive: Pursuit of Justice is a constant speed increase. Not as large as the others, but always there. This one doesn’t need space for a key, you just grab it, forget about it, and it’s always there. Pick whichever suits the encounter best as none of them should ever really impact your tanking, except where you stun a hard-hitting add. None of these work on bosses, all can be handy against trash. Stun: Fist of Justice is an improved version of Hammer of Justice, a single target CC. Great for trash and interrupting and just getting a mob to stop for a bit while you beat on it. Not so useful one bosses. Then again, none of these are useful on bosses. Sleep: Repentance is a single target CC that lasts longer than Fist of Justice and has a longer cooldown. Breaks on damage. Let someone else sleep/sheep the new adds. Area stun: Blinding Light is a melee range area stun on a long (2 min) cooldown. Might have some use against certain groups of trash. Healing yourself and/or others. The tier 16 set bonuses are in the image to the right. Flash of Light: Selfless Healer – stacks of Selfless Healer now reduce the cast time, mana cost, and improve the effectiveness of your Flash of Light. The Bastion of Glory effect from your Shield of the Righteous will now apply Selfless Healer‘s bonus to healing to the casting Paladin, as well as other targets, and consume all stacks of Bastion of Glory in the process. Word of Glory: Eternal Flame is a solid pick. It improves your Word of Glory if you’re self-healing a lot. In very high level gear this talent becomes very nice. If you have several stacks of Bastion of Glory it will heal more damage than Sacred Shield absorbs. Uses Holy Power than you could be using for other things. Shielding: Sacred Shield is my recommended choice from this tier, it also uses none of your Holy Power. Keep it on yourself, as damage absorbed doesn’t have to be healed. For DOTs: Hand of Purity could come in handy, lending some protection (15% reduction of all damage taken) to an ally or yourself, but it mainly applies to DoTs (80% reduction.) Very nice in the right fight (esp in PvP,) but less useful than the others for most fights. Cast it when appropriate for the damage reduction. Cooldowns: Unbreakable Spirit reduces the cooldown on Divine Shield, Divine Protection, and Lay on Hands by 50%. It’s a nice cooldown reduction for important abilities and is one less button on your bar. You will get to use these abilities more often with this talent. More Hands: Clemency is pretty sweet if you’re using your Hand spells often. It adds a lot of flexibility. If you do not use your “Hands” much then go with Unbreakable Spirit or Hand of Purity. 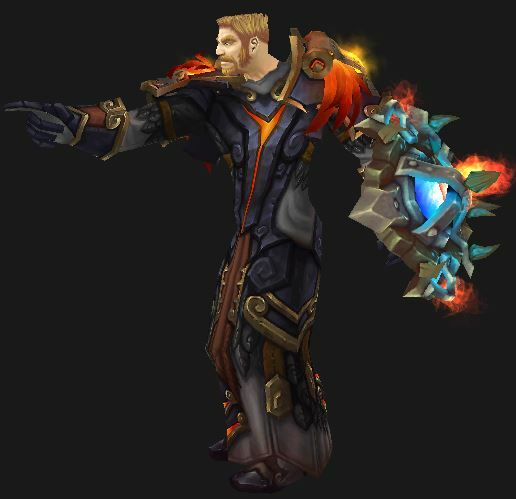 Here’s a WoWhead comment on Clemency: Basically, this gives your Hands 2 charges like Roll. So, for example, you hit Hand of Freedom once. That first charge is on CD and Hand of Freedom is still available to you since you have 1 more charge. Clicking it again will use the second charge and the first charge’s CD is what you’ll be waiting for next. Once the first charge’s CD is up, it goes to work on the second charge starting at 25sec. Every Hand’s recharging CD is based on the spells usual CD. Hand of Protection’s is 5 mins for example. There is no “best” here, your choice really depends on your playstyle and the encounter. Burst: Holy Avenger is a very good cooldown, my recommended choice. You get a big buff exactly when you want it, which is why it’s the pick here. Great on pulls or periods where you nee more damage right now. Better Wrath: Sanctified Wrath is decent, but it falls a little short of Holy Avenger. But it now generates 1 HP and does double damage so it becomes a solid add to your rotation. And more HP generation = more Shield of the Righteous uses. Proc: Divine Purpose is less reliable, being a random proc, making it inferior to the guaranteed effects of Holy Avenger. If the proc into your game better than a 2 min CD, then take it. A lot of people do prefer this talent and it does proc fairly often, esp. with lots of Haste. It will give you more WoG and Shield of the Righteous procs to weave into your rotation. For single-target encounters Execution Sentence is likely to be the best choice, but the long loading period is a negative unless you can wait 10 seconds for the effect to ramp up.. If you need AoE damage Holy Prism or Light’s Hammer will prove the better option. Area: Holy Prism Holy Prism is great for picking up adds or if you need an aggro tool to hit 5 enemies right now. Area Hammer: Light’s Hammer is a “Smart Heal” so heals those needing it the most. It also slows the movement of enemies in the area, which will have occasional use. Drop the Hammer: Execution Sentence is optimal for single target fights. You can also drop it on your own head as an extra heal. Judgments: Empowered Seals is best for experienced tanks as the juggling of the seals gives great flexibility. Better blocking: Holy Shield is best for straight up survivability. It doesn’t do the DPS of the others, though it’s close, but as tank you’re not in a DPS race anyway. Most of the available glyphs add utility instead of damage or defense. You’ll probably be switching them around, depending on the fight. Make sure you stop by the Reagents vendor and have some Tome of the Clear Minds handy. Glyph of Focused Shield – Use this when fighting bosses, those that don’t summon adds, or other important single targets. Your Avenger’s Shield now only hits one target and does 30% more damage. Consecrator causes your Consecration to move with you, which is very nice at times. Glyph of Divine Protection – Makes this ability useful against physical damage. Very nice when fighting bosses with physical damage, swap it out for something else when fighting bosses that use magical damage. Glyph of Holy Wrath is very nice when fighting aberrations, elementals, or dragonkin. The stuns will break casts and stunned mobs do no damage. Glyph of Hand of Sacrifice – Make Hand of Sacrifice much safer to use. Glyph of Consecration – More versatility, like the Death Knight’s Death and Decay. It does change the mechanic, which some find to be annoying. Use it to grab that bunch of adds over there. Glyph of Hammer of the Righteous – Longer lasting damage reduction is definitely useful. Glyph of Focused Wrath – as with Focused Shield this makes Holy Wrath affect only one target. Glyph of Word of Glory – If you are casting WoG or Eternal Flame with some regularity then this is a good glyph to get as it will increase your damage done after using those spells. In T16 gear, when Eternal Flame > Sacred Shield, this is very nice to have. It actually becomes a +DPS glyph. Glyph of Judgment – adds 10 yards to Judgment’s range. These are mostly just cosmetic. Pick whatever suits you. Glyph of Focused Wrath is for those times when you only care about one target and/or there are CCed mobs close by and you don’t want your Wrath the break that CC. Stamina – Try and stack as much as you can without gemming it. This means enchants and trinkets and rings. Bonus Armor adds to your armor and your Attack Power. It only comes on jewelry (rings, neck, trinkets) and you cannot otherwise stack it, except for one weapon enchant. Haste just makes things work faster, meaning you get to use your abilities that much more often. You’ll generate more threat and more Damage. Your passive Sacred Duty ability gives you 30% more Haste from all sources. Crit: You get 1 point of Parry for every point you have in Crit, due to your Riposte ability. Your Seraphim talent will boost the value of crit to about the value of Haste. Versatility is a direct, though small, increase to your Attacks, Heals, and (at half value) to your damage reduction. It’s almost another form of Bonus Armor, though not nearly as good for most of what you do. Multistrike gives you two chances of generating an extra hit or heal at 30% effect. All heals you receive, including their Multistrikes, have two chances equal to your multistrike chance to trigger Shining Protector, healing you for an additional 30% of the triggering heal. Yes, you can Multistrike your healer’s heal. Spell Power = 100% of your Attack Power, from your Guarded by the Light ability. Any other source of Spell Power, such as an enchant on your shield, will be of no value to you. An Attack Power enchant would. Tertiary Stats, such as Avoidance, Leech, Indestructible, Leech, and Speed randomly appear on dropped gear (not bought gear. You cannot enchant, gem, or otherwise stack them. (P) = Passive Ability, HP = Holy Power. 10 Avenger’s Shield attacks, interrupts, and silences your target and then bounces to other targets (5, with the perk.) Nice tool to interrupt, attract adds, etc. 15 sec cooldown, reset by …. 10 Bladed Armor (P) causes your Bonus Armor to increase your Attack Power. 10 Resolve (P) increases your healing and absorption done to you, based on damage taken (before avoidance and mitigation) in the last 10 sec. So if you’re being smashed then any absorbs or heals that you do, and that are cast on you, will have greater effect. 10 Sanctuary (P) lets you take less damage, gives you slightly more dodge, and your attacks are less easily parried. 14 Flash of Light is a heal, and is buffed by your Selfless Healer talent. 20 Hammer of the Righteous lightly whacks all enemies within 8 yards. Best used to make sure they’re all paying attention to you. 20 Holy Wrath its all enemies within 10 yards, stunning demons and undead. With one target it actually hits rather hard. With the Sanctified Wrath talent it does double damage and generates 1 HP. 28 Judgments of the Wise (P) allows your judgments to grant one HP. 34 Consecration damages all enemies, within the effect, for 9 seconds. 40 Shield of the Righteous hits fairly hard and reduces the physical damage you’ll be taking for three seconds. It also causes Bastion of Glory, which empowers your Word of Glory. 42 Seal of Righteousness your melee attacks do some Holy damage to all nearby targets. 50 Grand Crusader (P) – avoiding a melee attack, or using Crusader Strike or Hammer of the Righteous, causes you to a have a 30% chance of refreshing the cooldown on your next Avenger’s Shield and causing it to generate 1 Holy Power. 50 Shining Protector (P) any heals cast on you, yours or the other guy’s, have your multistrike chance of proccing an additional heal on you at 30% effect. 66 Hand of Salvation is for those times when someone, somehow, manages to grab aggro from you. Or just pulls that mob over there. It removes his threat for 10 seconds. 70 Ardent Defender reduces all damage by 20% for 10 sec. A Killing Blow on you will actually heal you for 12%. 75 Guardian of Ancient Kings reduces all damage to you by 50% for 8 sec. 76 Riposte (P) – Your Parry is increases by your Crit rating. 80 Mastery: Divine Bulwark (P) increases your block chance, your Attack Power, the damage reduction of your Shield of the Righteous, and the effectiveness of your Bastion of Glory. 90 Sacred Duty (P) gives you 30% more Haste from all sources. Perks are enhancements to your current abilities. You get a random one at levels 92, 94, 96, and 98. 92+ Empowered Avenger’s Shield (P) hits two more targets. 92+ Improved Block (P) blocks more damage. 92+ Improved Consecration (P) now with more damage. 92+ Improved Forbearance (P) reduces the duration of Forbearance by 30 sec. With Forbearance active you cannot be affected by Divine Shield, Hand of Protection, or Lay on Hands. This means, for example, that you cannot cast Lay on Hands and Divine Shield back to back on yourself. As a tank our rotation largely focuses on generating Holy Power for defensive purposes, primarily the use of Word of Glory for self healing and Shield of the Righteous for the Bastion of Glory buff and 30% damage reduction for 3 seconds. Bastion of Glory increases the effectiveness of Word of Glory when used on yourself by 10% each stack up to a maximum of 5 stacks or 50% increased healing. Note that, while sometimes necessary, Word of Glory is a DPS loss. Boundless Conviction, a passive, allows us to store up to 5 charges of Holy Power at a single time meaning we can pool Holy Power if necessary for use at crucial moments rather than simply expend it the instant we reach 3 charges. Seal of Insight makes your healer’s lives easier and increases your survivability. ( Seal of Truth can be used if you need to do more DPS and your survival is not an issue.) Seal of Righteousness is only for groups of trash. Blessing of Kings – for the Mastery, though your raid might want Blessing of Might. You want all of the opposition paying attention to you and only you. Getting and keeping the mob’s attention is your #1a duty, while your teams’ DPS burns it down. Your #1b job is to survive. #2 is your own DPS. All of your attacks generate threat, much more than the DPS or heals of your team. Save your Taunt for when some mob really want to squish your team member. Reckoning is your taunt, forcing the target to attack you, and it has a cooldown of 8 seconds. Your other attacks work to get the mob’s attention while your Reckoning forces it. The mob will attack you for the next three seconds and all of your attacks will generate much greater threat for that time . Your job is to pile enough threat on top of that such that your arcane mage, pulling that massive DPS, or that mighty healer, cannot then pull it away from you. But that’s one of the things that makes tanking interesting. Fighting a group? Basically you’ll spam your area attacks and use your Reckoning to pick up strays that insist on not paying attention to you. Your Avenger’s Shield and Judgment should suit for any other stray. The basic rotation is pretty simple. Build HP and spend it (most of it) on Shield of the Righteous. Mix in your defensive cooldowns as necessary to survive. Crusader Strike and Judgment should be used as often as possible to generate Holy Power. Use Avenger’s Shield when available. When Grand Crusader procs use Avenger’s Shield for an extra charge of Holy Power. Avenger’s Shield can otherwise be used without the proc for extra damage and threat and to interrupt any non boss mobs that need interrupting. Holy Wrath and Consecration provide extra damage and threat and should be used when you have nothing else available. Hammer of the Righteous replaces Crusader Strike as your primary holy power generating attack. Holy Wrath is your filler. If you have Sanctified Wrath then it’s an HP generator and has higher priority. Consecration should be used as often as possible. Your offensive coldowns come only from your level 75 and 90 talents. Holy Avenger (tier 5) is a very good cooldown. You get a big buff exactly when you want it. Great on pulls or periods where you nee more damage right now. Holy Prism (tier 6) is great for picking up adds or if you need an aggro tool to hit 5 enemies right now. Cast it on an enemy or on yourself. Light’s Hammer (tier 6) is a “Smart Heal” and as such heals the people needing it the most. It also slows any enemies in its area, which is sometimes useful. Execution Sentence (tier 6) is optimal for single target fights and you can cast it on yourself for the extra healing. Divine Protection reduces magical damage taken by 40% for 10 seconds with a 1 minute cooldown. The effect can be changed to 20% magical and 20% physical damage reduction with the Glyph. Guardian of Ancient Kings grants us 50% damage reduction for 12 seconds with a 3 minute cooldown. This is one of our more powerful defensive cooldowns and should be reserved for moments of heavy damage. Lay on Hands is an emergency heal that instantly heals for maximum health with a 10 minute cooldown. Due to the lengthy cooldown this can rarely be used more than once in an encounter and should be saved for when it is absolutely necessary either to use on yourself or another member of the raid. Holy Avenger allows us to generate almost limitless amounts of Holy Charges for the duration of the effect which contributes to our self healing and survivability as we can temporarily use Shield of the Righteous often enough to keep the damage reduction active at all times. Sanctified Wrath improves the benefit of Avenging Wrath by increasing the duration of the healing buff it provides. It also allows us to use Judgment more often and therefore generate more charges of Holy Power. Divine Purpose grants us a 25% chance to have a free 3 Holy Power ability use. Execution sentence when fighting single bosses with no adds. Lights hammer fro groups, or for singles with add phases. Holy Prism for when you need to grab some adds. Note that gem slots are not common and the top gems are expensive. Dropping down to a much less expensive gem won’t kill your tanking. The 50 pt gem is far less expensive than the 75 pt gem, and the 35 pt gem is far less expansive than the 50. Warlords gems don’t work in gear under ilevel 600. The “mists” gems in the table below are for lower level gemming. Buy your gems, enchants, gear, repairs, enhancements, and consumables, and your alts, and a second gear set for your Ret/Holy build, collect mounts and pets, throw gold at guildies, beggars, and those Gnome/ Undead dancers in the taverns, etc. Got enough gold to do all that? If not, check out Zygor’s Gold Guide. In short: Enchant Weapon – Mark of Blackrock is what you want to use on your weapon. There are no Warlords enchants for your shield. Warlords level enchants are only available for your neck item, cloak, weapon, and rings. Lower level enchants cannot be added to gear higher than ilevel 600. Warlords enchants can be added to lower level gear, even your level 1 heirlooms, if you’re starting a baby tank. Warlords killed off most of the special profession enchants, such as the extra gem sockets provided by Blacksmithing. The Secret Inscription shoulder enchants are still available, but require Inscription and level 85. Best pick: Enchant Weapon – Mark of Blackrock – chance for +500 Bonus Armor for 12 seconds, but can only happen when you’re under 60% health. Rune of the Stoneskin Gargoyle: 4% more armor and 2% more Stam. Shield/off-hand Enchant Shield – Greater Parry: More defense, +15 Parry, requires iLevel 417 shield. Ghost Iron Shield Spike: More threat. Sometimes does 42-70 damage when you block. Shoulders Secret Ox Horn Inscription: +20 stam, 5 Dodge, Requires Inscription 600 and level 85. Belt Livingsteel Belt Buckle: New gem slot for gem of choice. Boots Enchant Boots – Pandaren’s Step: 10 Mastery, slight movement speed increase. Rings See Warlords enchants, above. Warlords foods, as with gems and enchants, do not provide primary stats (Str, etc.,) but flasks and potions do. All food buffs last one hour and provide only one stat. Pandarens get twice the food buff, such as +250 Mastery instead of +125 like everyone else. An Empowered Augment Rune, which also adds 50 Str (as above) is available if you have exalted rep with the appropriate faction in Tanaan. Horde, here. Alliance, here. Tents: (not usable in raids or arenas) These account bound items are available through your leatherworking hut, from the follower that you assigned to that hut. All the tents do the same thing, which is to add 10% to all stats for an hour. Very nice if you’re doing anything outside of the raid. Since they’re account bound you can send them to all of your alts. A small heal (Gift of the Naru) is occasionally handy. Your Heroic Presence now increases your Strength and scales with your level. Human: A bit of Versatility and a pretty nice escape. Blood Elf: The 2nd best Horde race for Paladins, now with more Crit. Arcane Torrent is a nice spell interrupt (and silence) against caster trash. Acuity adds +1% to your Crit rating, which is a good stat for you. Tauren: The Stomp, more Stam, more Crit damage. Maybe the best Prot Pallies overall. War Stomp: Stuns up to 5 enemies within 8 yds for 2 sec. Not bosses, of course. In Warlords most of the special stat buffs are gone. No more blacksmithing gem slots, for example. If you have a level 2+ profession building in your garrison, and a follower with that profession trait working it, then you will have access to some possibly useful perks available through that follower. All of the crafting professions will let you make certain gear, bits to reroll stats on those items, and also the bits to boost those items for 705 for weapons and 715 for everything else. Note that the max boost is expensive. Alchemy – You will be able to create a large variety of useful potions that will heal, boost stats, restore mana, and more. Your follower gives you four free potions every day. Solace of the Forge might be helpful when leveling/travelling through Draenor, as a molten elemental will sometimes come to your aid. Enchanting – Enchant all those items and you can, through that garrison follower, cast illusionary enchants. These are basically transmogs for your current enchant. Want your current enchant to look like an older one? Then this is for you. Engineering – will let you create a number of useful items, such as rockets, shields, a stealth device, etc. These cannot be used in raids or rated PvP, but that can be used just about anywhere else. Your follower will sell you a Walter (two uses) for a very low price. This gives you bank access and everyone else repairs and awful food. Inscription – Glyphs, some trinkets, staves and caster weapons and the ability to reroll the stats and boost those items to 705, fortune & Darkmoon cards, trinkets (and the bits to boost them to 715,) and more. Your follower will let you create merchant orders. Combine any two and then sell the result to any vendor for 75-250 gold. Jewelcrafting – You can be your own Tiffany Diamonds Company. Well, not quite. Useful (ilevel 640) rings and neck items, the bits to reroll their stats and boost them to 715, pretty gems, gemmed mounts, some fun toys. Leatherworking – will let you make entry level armor for raids (ilevel 640.) You can also make the items to reroll the stats and also to upgrade the items to 665, at a cost far exceeding that of the original piece. You can also make Drums of Fury for a Heroism type buff (25% Haste for 40 sec.) Through the Leatherworking hut in your Garrison you can make single use tents that will increase all of your stats by 10% for an hour, though not in raids or rated PvP. These tents are account bound, so you can mail them to all of your alts. Tailoring – Cloth armor, flying carpet, murlock chew toy, and allows you to make nets (Embersilk Net) and battle standards (such as: Fearsome Battle Standard) usable only outdoors in Draenor. Herbalism, Skinning, Mining are all good for making gold and fueling the appropriate professions. Cooking – You can cook up lots of interesting foods, some of which will buff various stats. These buffs stack with those of any of the above skills, as well as with other buffs. See this post if you need some “How to” for building your macros. This one makes sure that your auto attack actually starts on the targeted mob, even if off cooldown. /cancelaura cancels a friendly aura/effect that you don’t want on you. For example, someone casts that Hand of Protection on you, thinking you’re in trouble. Make one for any effect you think you might have to kill. If you use ‘@NameOfPlayer‘ just enter the player’s name (before the raid/dungeon starts) and it will target that exact person (and change your target.) You just fire the spell and don’t have to think about where they are. Use ‘@focus’ and it will do the same to whomever your focus target happens to be. Use ‘@mouseover’ and it’ll work with the target you’re mousing over. That last can be kind of awkward in a full raid, due to too many bodies running about. Some examples: Change the ‘@whatever’ to what you want to use. ‘@focus’ will let you zap specific targets reliably, ‘@mouseover’ gives you the flexibility to pick targets on the fly. If you do not have a focus or mouseover target then the macro will do nothing. Mouseover the target of your protection and hit the macro. It will not change your current target. Just hit the macro and it’ll save your focus target without changing your current target. This is the best one if you have a specific buddy to protect. And a damaging spell for picking up adds. You can also use Reckoning (or any appropriate attack) instead of Judgment. Mouseover Taunt – This will taunt your mouseover target if you have one, but does not change the target to the mouseover target. If there is no mouseover then it will taunt your main target. The () keeps the macro from “thinking” that you’re referring to the Reckoning sword. When you taunt a target it will run towards you and, sometimes, come in with a powerful attack. It will do its best to mash you into goo for three seconds and then the extra threat of your insults (taunt) will wear off. By that time you will have all of its attentions anyway, right? The idea here is to taunt and use the macro to bubble, thereby surviving the initial crush. You then hit the macro a second time to cancel the bubble. You must cancel the bubble before the three seconds is up or the target will forget about you and attack someone else. You could also use this mid-fight to avoid a really big hit. Just remember to hit it again and cancel the bubble. Zygor’s guide is your ticket to much faster leveling. 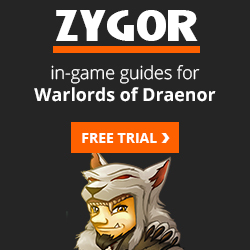 Zygor’s is an in-game guide that shows up as a small window on your screen. It shows the current quest, tasks, and displays an arrow pointing the way to go, showing you the most efficient way to knock out the most quests in the least time. Imagine having an expert partner helping you out every step of the way, showing you what to skip and the most efficient way to level. Heck, you may never again have to consult your quest log, nuch less some website for quest tips. Grab yours now (or read our Zygor review first) and cruise to the level cap, fast. Then you can be the one to answer the “Where do I go at level…?” questions people ask in trade. Holy PvP, which they do very well, thank you. 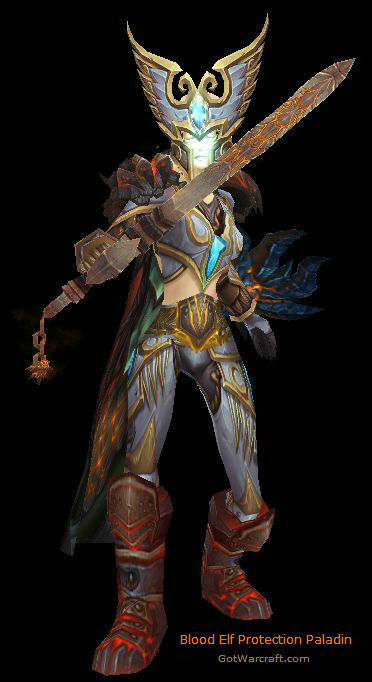 Leveling your Paladin – gear, tips, build, etc. Pallie Posts – our blog posts on Paladins.